National Football League (NFL) footballer, Darren Sproles plays as a running back for the Philadelphia Eagles. The talented NFL player also has the position of a return specialist at the team. Since he joined the league in 2005, Sproles has exhibited so much strength and tenacity and is known for his outstanding skills. He was also notable during his college days and earned lots of recognition at the time. Sproles was drafted by the San Diego Chargers in the fourth round of the 2005 NFL Draft. Get details about the lesser known facts about the Philadelphia Eagles running back. The NFL player was born on June 20, 1983, in Waterloo, Iowa. Sproles was born with a speech impediment which he continues to battle. But this deficiency did not deter him from pursuing his career of interest. He started from his high school days to exhibit his forte for the game of football. He attended Oregon Trail Junior High and started from there to excel in the sport. Sproles had his high school education in Olathe North High School and was a notable player in the school’s football team. He earned various recognition including All-Metro honoree, an All-State selection, and All-Sunflower honoree in the school. He was also a two-time awardee of The Kansas City Star Player of the Year. At the end of his high school career, Darren Sproles proceeded to Kansas State University where he played college football. In his second season with his school team, he recorded 1,465 rushing yards and 17 touchdowns. The following season saw him make impressive records for the team. Sproles finished with an awesome 1,986 rushing yards and 16 rushing touchdowns. Darren was the 11th on the all-time rushing yards list after his college years. After his performance at the NFL Combine, Darren Sproles was selected by the San Diego Chargers with the 130th overall pick, in the fourth round of the 2005 NFL Draft. He started out as the third-string running back that season. His 2006 season was greatly marred by an ankle injury as he was placed on injured reserve the entire year. He bounced back in the 2007 season and became the first player in history to return a kickoff and a punt for his first two touchdowns. Sproles’ time with the Chargers came to an end after the 2010 season. At the end of the season, he recorded 59 receptions for 520 yards and two touchdowns in all 16 games. He joined the New Orlean Saints in July 2011 on a four-year $14 million contract. That season, he broke the NFL single-season record set in 2000 after he surpassed the 1000 all-purpose yards in his seventh game with the Saints. In his 2012 season, he finished with 75 catches for 667 yards, seven touchdowns and 48 rushes for 244 yards. His time with the Saints came to an end after the 2013 season. Sproles joined the Philadelphia Eagles in 2014 in an exchange for a 2014 5th-round draft pick. In the 2016 season, he signed a one-year $4.5 million contract extension with the team. The contract was meant to elapse after the 2017 season but the Eagles re-signed the player again in 2018. 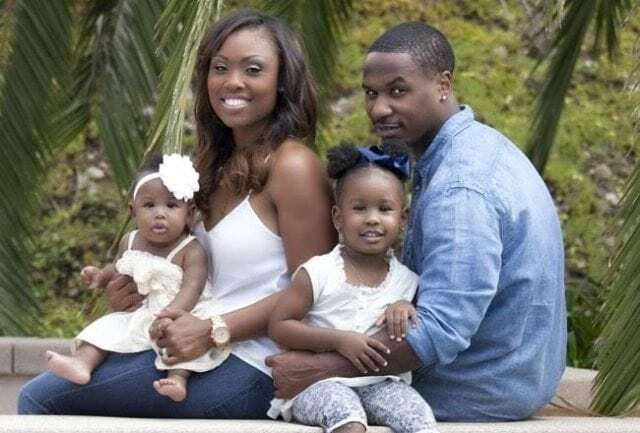 Darren Sproles may seem so busy and entangled with his professional career but he always makes out time for his family and love life. He is married to his longtime girlfriend Michel Hunt. The couple who had been together for so many years finally tied the knot in 2010. Together, the Sproles have two beautiful daughters; Devyn Annette Sproles and Rhyan Leigh Sproles. Michel Hunt, a former professional track athlete who was notable in her running days no longer runs professionally but is a girls’ track coach. A breast cancer survivor, Mrs. Sproles underwent a double mastectomy and a reconstructive surgery before she was healed of her infirmities. 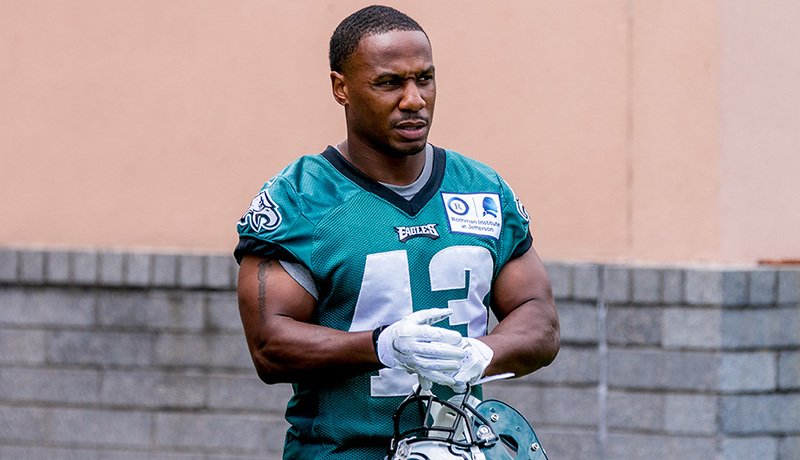 Darren Sproles has got the right body that suits his career. He stands at a height of 1.6 m (5 ft 6 in) which is quite proportional to his weight of 185 lb (84 kg). He has a strong looking and sturdy body build which gives him the support he needs to tighten his grip on the ball. Darren Sproles lost his mother to cancer in 2004. The NFL player followed in the footsteps of his father, Larry who like him played as a running back while in college. Sproles who had issues with his speech from childhood finished college with a degree in Speech Pathology.